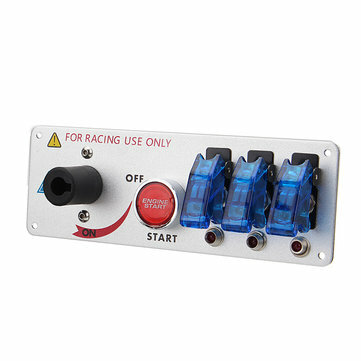 1.Universal for 12V Power Speediness & Racing Cars. 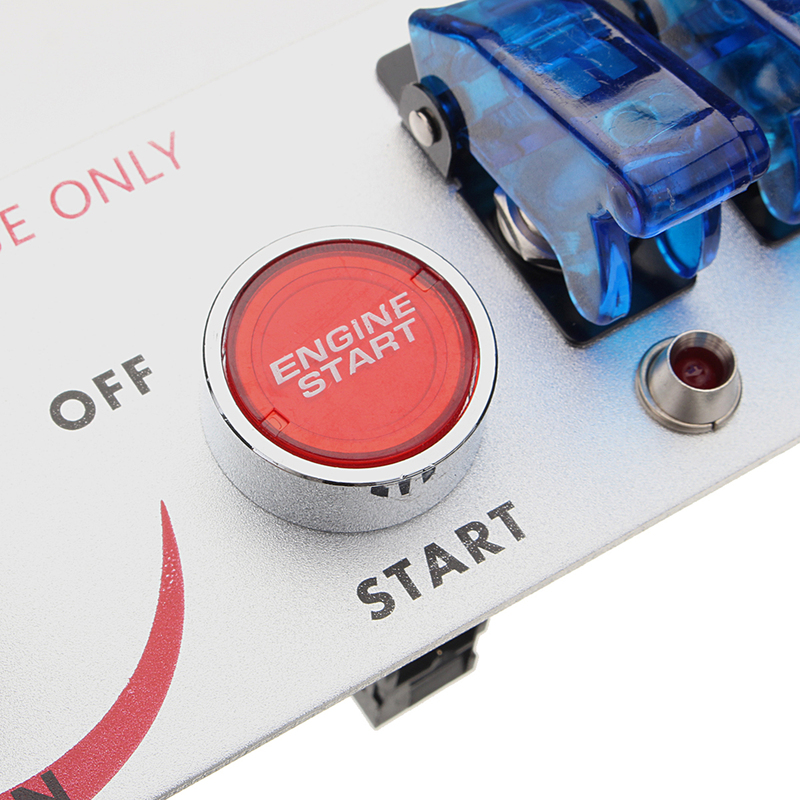 6.Red engine start button with 3 toggle switch for additional use. 7.Built in indicate light in ON/OFF switch and start button. 8.Come with the Relay to control the buttons of this item. 9.Pre-drilled mounting holes design is convenient for installing. 10.The starting switch is the ignition switch of the engine. 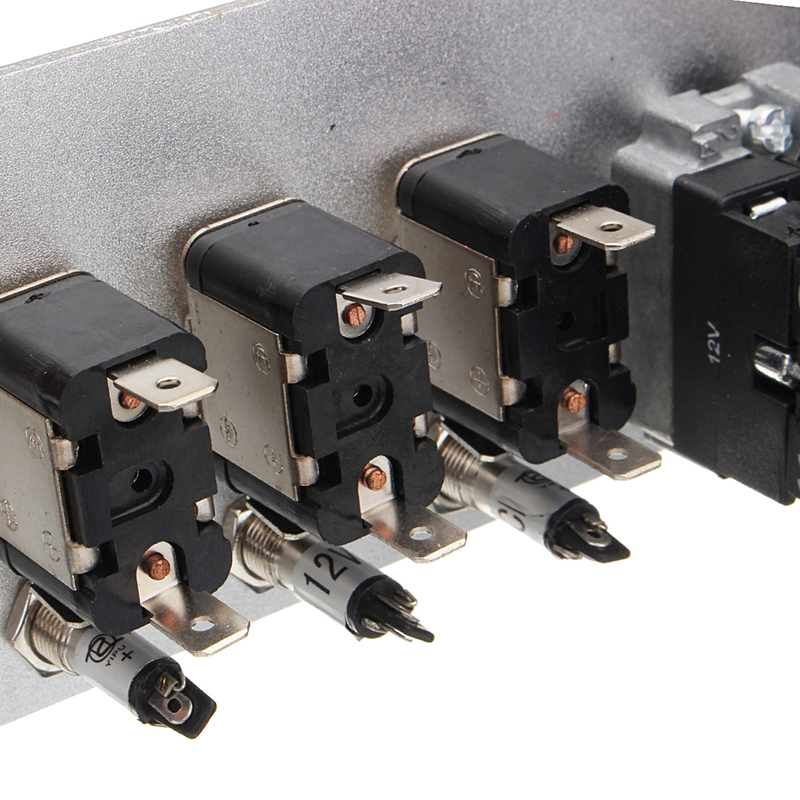 It can reduce ignition delay and reduce acceleration delay. without use made of phenolic resin flammability, ultra high safety factor.